Good choice! Book right now and get the lowest price! Book a room here with 15% discount using a promo code HMSD15! The offer is limited. Шампанское от отеля в подарок! 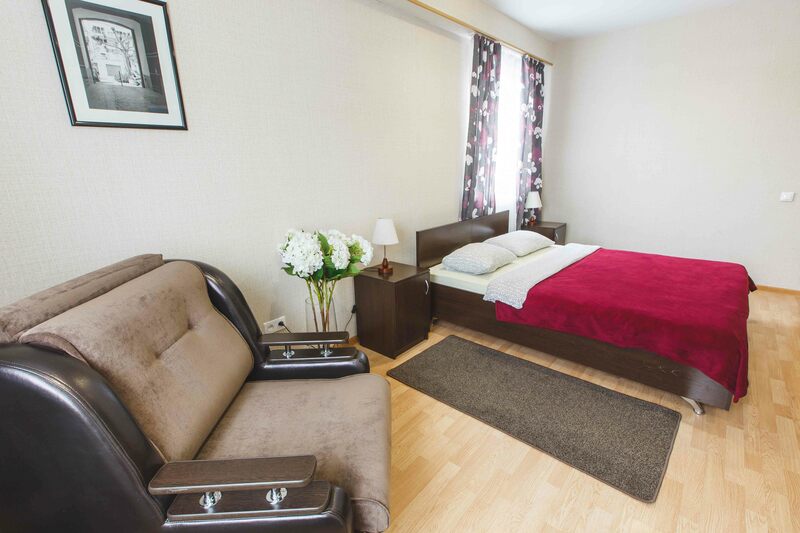 Standard double room is equipped with a wide double bed, wardrobe, bedsides, LCD-TV, desk, chairs. Separate bathroom with a shower. The total size of this type of room is 16 m2. It’s perfect for 1-2 persons stay. Standard twin room is equipped with two single beds, wardrobe, bedsides, LCD-TV, desk, chairs. Standard single room is equipped with one single bed, wardrobe, bedsides, LCD-TV, desk, chairs. 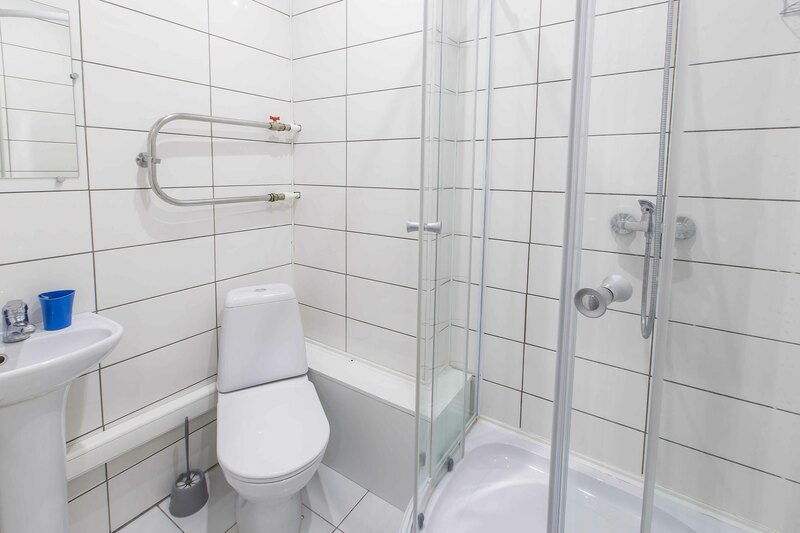 Separate bathroom with a shower. 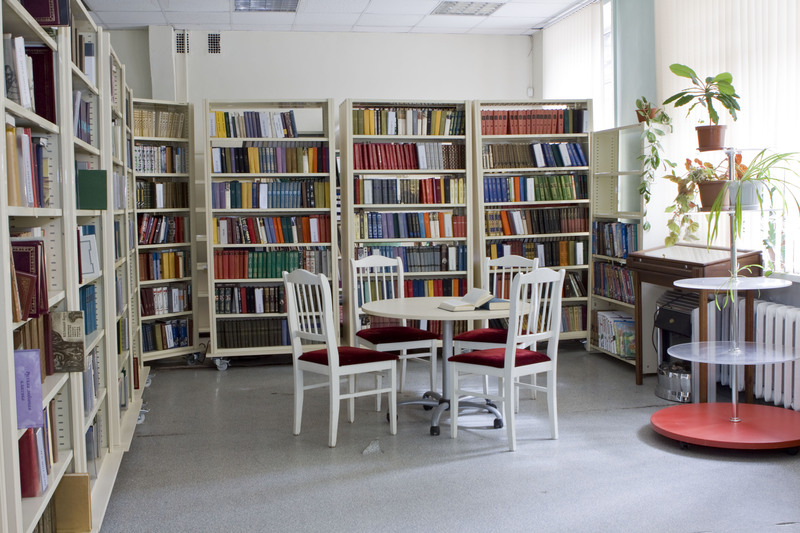 The total size of this type of room is 12 m2. It’s perfect for 1 person stay. Attention! 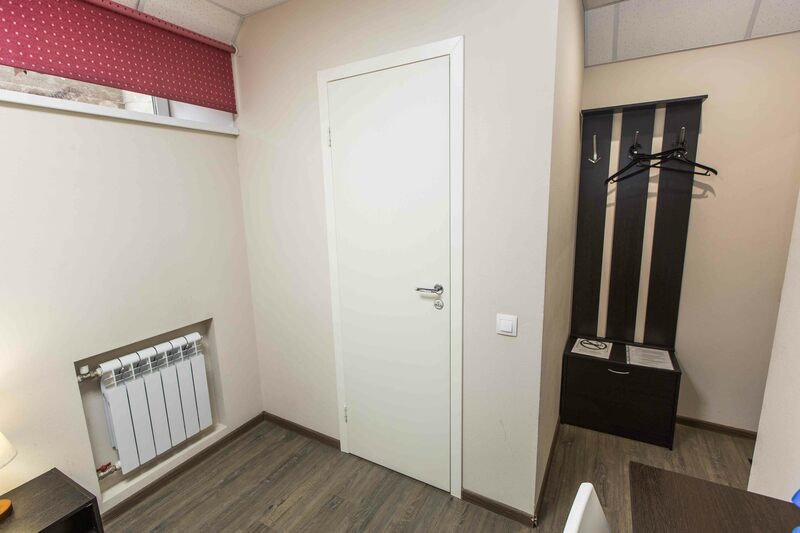 This type of room is located on zero floor. Номер площадью 25 м2 с большой двуспальной кроватью с ортопедическими матрасами, рабочей зоной с письменным столом, мягкой мебелью и ванной комнатой. Выполнен в классическом стиле, есть все необходимое для комфортного отдыха и работы. 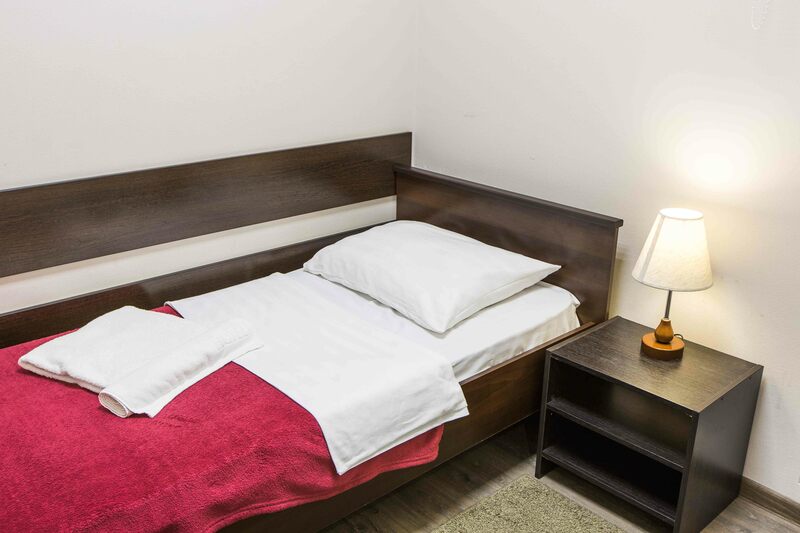 Classical double/twin room is equipped with a wide double bed or two single beds (the design of the beds allows to join and split them without comfort damage), wardrobe, bedsides, LCD-TV, desk, chairs, big armchair, fridge. The total size of this type of room is 24 m2. It’s perfect for 1-3 persons stay. 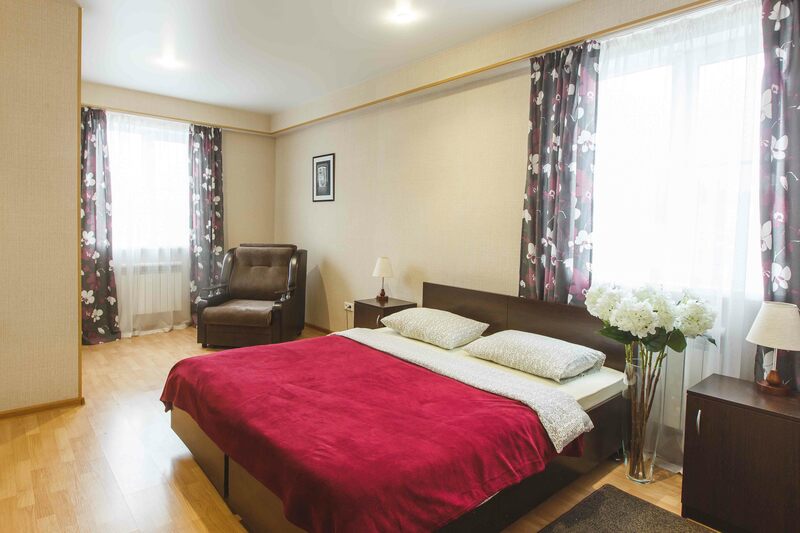 5 minutes of walk from Tomsk State University, 15 minutes of walk from Novosobornaya square – main square of Tomsk. Very fast Wi-Fi on the whole territory of the hotel. It is free for all our guests. You can order a breakfast, lunch or supper right in your room. Also our guests can always help themselves with free coffee and tea. Everyday room cleaning. 24/7 front desk. 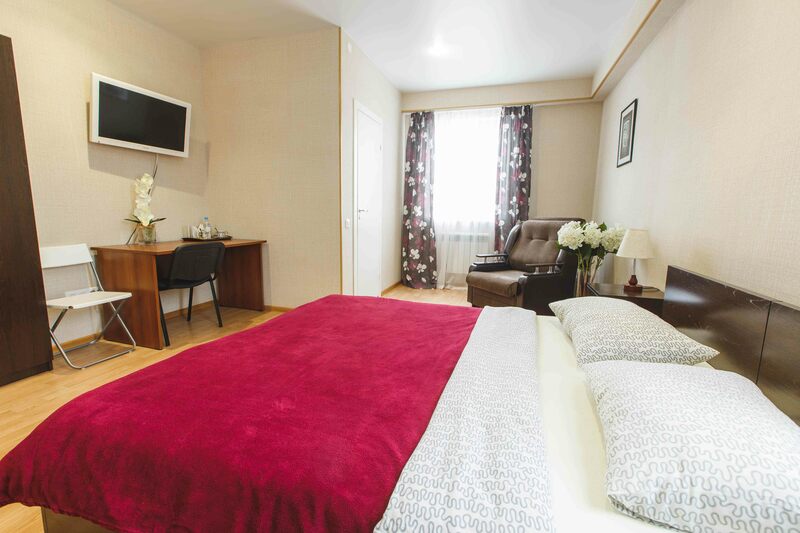 Asti ROOMS is a cozy hotel which is located right in the center of the historical part of Tomsk. 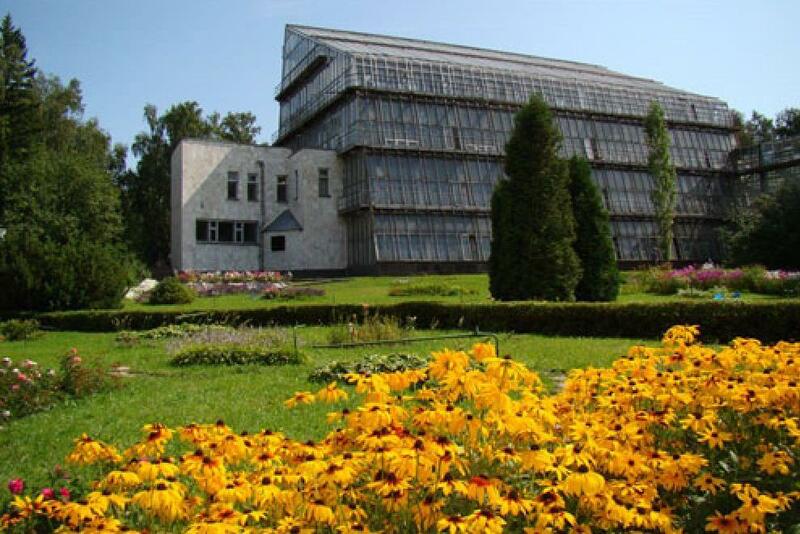 The surroundings of the hotel are called “Tartar sloboda”. This location is the oldest part of the city which is inhabited by Tatars – the people who lived in this region since ancient times. 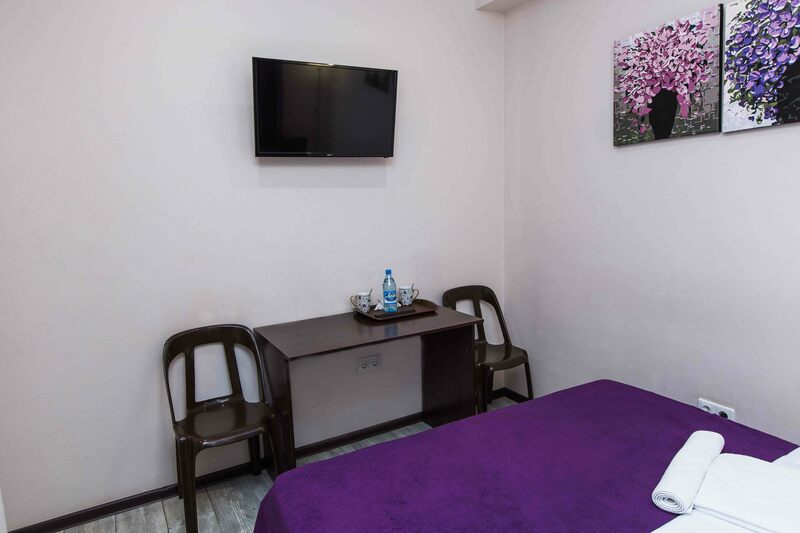 Asti ROOMS has 20 rooms of various type (from Standard Single to Comfort Double). 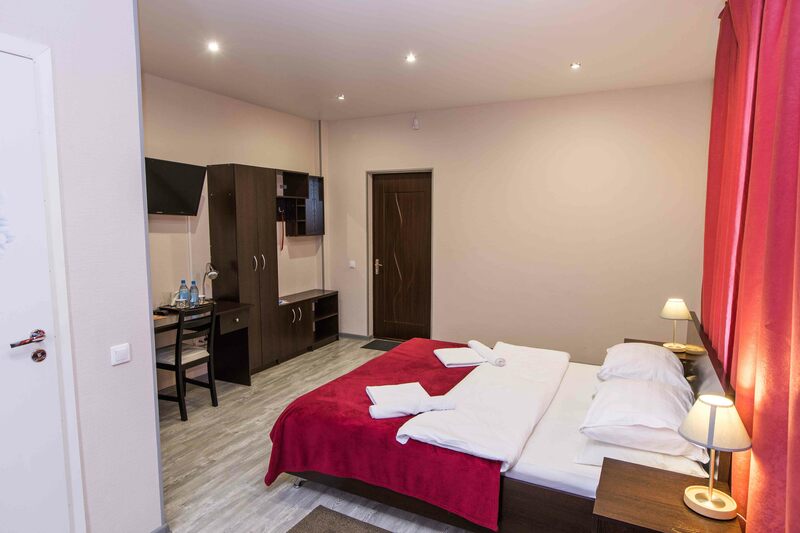 Each room has its’ own private bathroom with a shower cabin, LCD-TV, fridge and all the necessary equipment for a comfort stay. 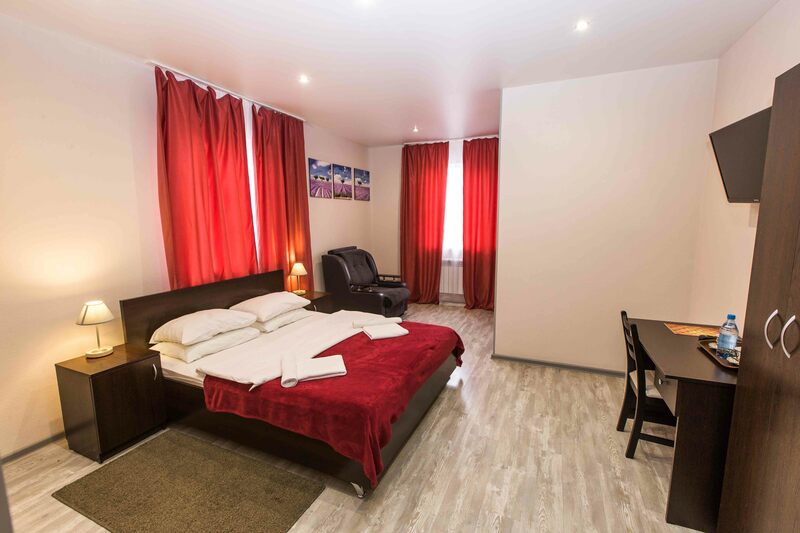 Breakfast, internet, parking and coffee and tea are included in the price of the stay. Also you can order a good lunch or supper right in your room. The laundry and ironing is also available for an extra fee. 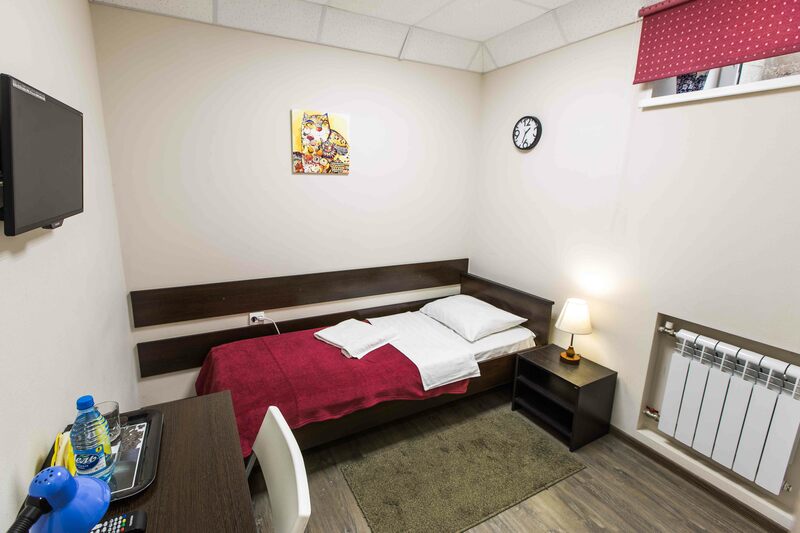 You can order a hotel taxi, and the stuff of the hotel will meet you right in Tomsk airport. 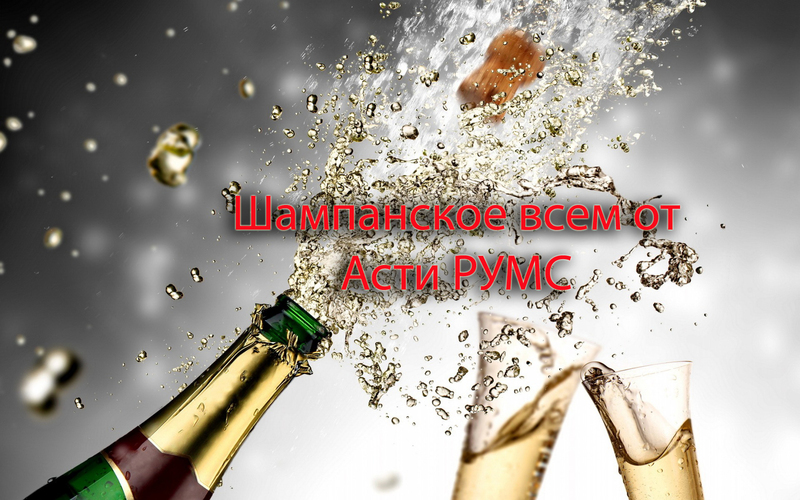 As Tomsk is a city of youth there a lot of pubs and night clubs there. For a night hanging out we’d advise Harat’s Pub, Doors night club, Teatro night club, Two chiefs restaurant. Sincerely, the management of the Hotel Asti rooms.